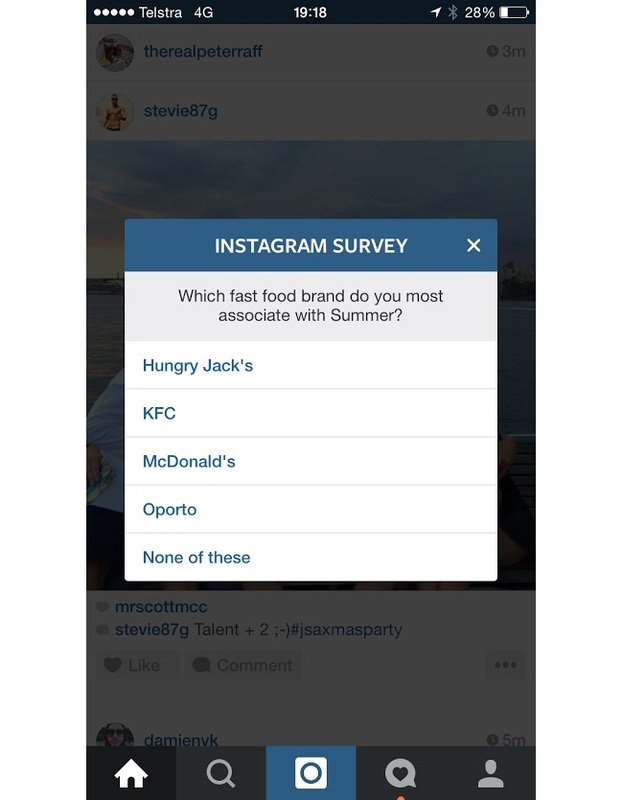 Facebook-owned photo- and video-sharing network Instagram appears to be experimenting with advertising-related surveys. 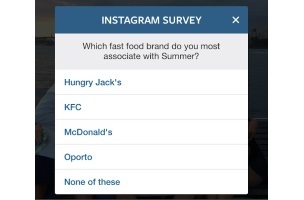 Reader Abs Elmaz of Social House Media shared the screenshot above of an Instagram survey pop-up, with the question, “Which fast-food brand do you most associate with summer?” The answer choices were Hungry Jack’s, KFC, McDonald’s, Oporto and none of these. Instagram users: Have you seen anything similar?